One Savvy Mom ™ | NYC Area Mom Blog: Elliot Lucca's Anastasia Bag ~ Amazing Bag...Hot Price! 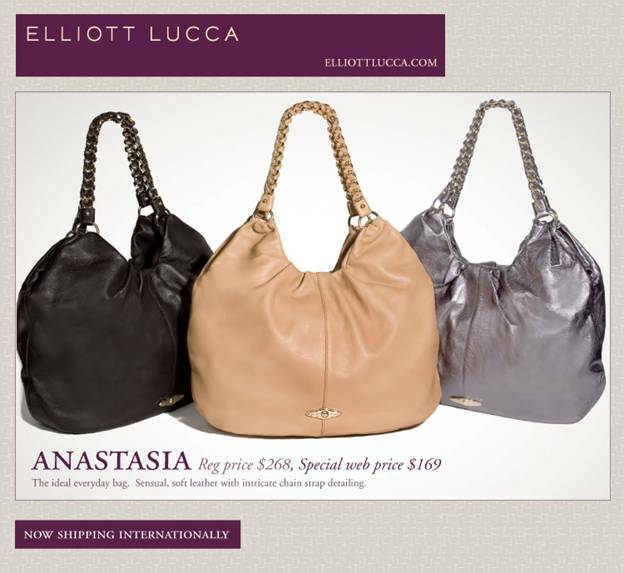 Elliot Lucca's Anastasia Bag ~ Amazing Bag...Hot Price! Hello Anastasia! Elliott Lucca's ideal everyday bag with sensual, soft leather and intricate chain strap detailing is available for the Special Web Price of $169.